Creating a retail business plan is vital to achieve target sales, unless you are considering buying an existing business. A well-written plan is needed to convince investors about the viability of your business idea. Of course, developing a detailed retail plan enables owners stick to their original vision. This focus enables the business to move in the right direction. However, the effectiveness of a business plan depends on the development process. In this post, we guide you through the major steps of writing an outstanding retail business plan. To make any business plan effective, summarize all essential points at the very beginning. This is something you will learn at business schools in Texas and elsewhere. The executive summary outlines your business idea, its current status and goals. In addition, it mentions the markets your business serves and how it stands out. Investors should get a clear concept of your business’s strengths and objectives just by reading the summary. The next section of your retail business plan should include further details about your business. This section of a business plan is called the business analysis section. Here, you need to include information about your legal business structure, name, location and which types of goods you offer. This section can also include competitive analysis data about similar companies you will being vying for business against. Once you have those details down, you can move on to the next section of your business plan. Conducting comprehensive market research is a critical part of business planning. Start by analyzing the size of your retail business’s market. Next, determine whom your business serves including their age, lifestyle, demographic and other information. This can be doing using a segmentation analysis. Additionally, create estimates regarding the number of customers and the market share percentage you aim to obtain. Surely, researching market will provide sufficient knowledge to plan strategies for your retail business. In today’s environmentally conscious society, it is important to consider ways in which to make your retail store reflect that. If you are looking for brand differentiation to set you apart from your competition, this is one of the best ways to achieve that. Having an environmentally conscious retail business will set you apart from others as a progressive leader in the industry. Try researching some methods to make your retail shop go green as you create your business plan. This can make a huge difference to your odds at success. While planning your retail business, analyzing competition is highly beneficial to your plans. First of all, identify the main competitors by product line or market segment. Thereafter, determine the market share controlled by each of these competitors. The competition analysis should include a comparison between your business and competitors, highlighting your strengths. On the whole, retailers can overtake fashion business competitors by studying their competition closely. Retailers who make realistic financial projection can plan resource allocation accurately and avoid a reason why startups fail. The validity of the projections is crucial to gain the approval of investors. When planning, set achievable financial targets for the next five years. Then, support your claims with appropriate data and evidence. In addition, retail startups should include a timeline to reach a break even point for the business. Above all, detailed financial projections allows you to concentrate on specific goals, driving business growth. Last but not the least, a retail marketing plan should contain precise marketing plan, just as you have seen in all those entrepreneur TV shows. To get started, divide your marketing plan in four strategies: market penetration, growth, channels of distribution and communication. Next, offer a list of the most effective marketing channels to reach your target audiences. Finally, allocate a budget to optimize each marketing channel. A well developed marketing plan is a key component of any retail business development. Developing a retail business plan helps business owners utilize time and resources profitably, just like HR outsourcing. Make sure your business plan includes a synopsis of business idea, market analysis data and details from competition research. In addition, it should contain financial projections and a marketing plan based on concrete information. 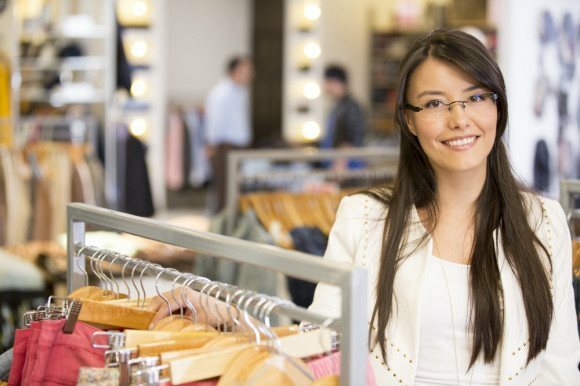 By following these steps, retail businesses can impress investors with an effective business plan.